That's OK I'll make my own! I saw a picture on the Silhouette board of this bunch of flowers done by Nicole Mantooth and I just had to make one myself! I love the 3d projects I can make with my Silhouette. I just picked several flower designs from my library and different leaf and branch files. A little resizing here and there then assembly. I hot glued a floral cloth wire to the back of my flowers and glued a bit of thin floral green wire to the backs of the stems so I could bend them a bit to make more realistic. A bit of foam in my simple vase, arranged the everlasting flowers and I now have this gorgeous bouquet to look at everyday! Someday I wonder what my life was like before I bought my Silhouette machine but I bet I got more housework done! Getting all up in my creative side! But I finally started and decided to not care what I was doing. Pressure off! 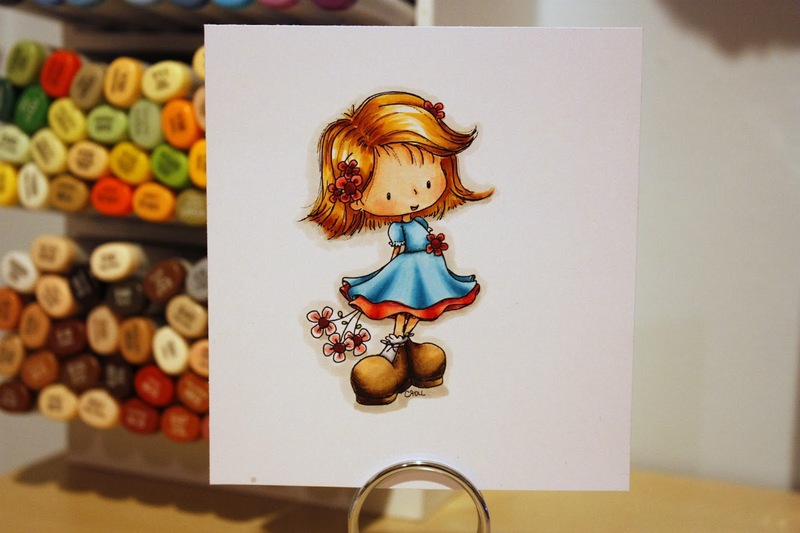 I love that song and I equally love that stamped image from Stamping bella so how perfect were they together? I think just perfect. I tried not to over think the process and just get the stuff down on the canvas. I used my Silhouette to cut all the letters out and also the stamped image. To do that I stamped the original image onto paper and then scanned it in to my computer. I then opened it in Photoshop and resized it to what I wanted. I saved it as a jpeg and then opened it up in Silhouette. Once I traced it I created an offset, cut it out and set to coloring the image with my Copics. Phew that was a mouthful! I have to say this one was fun and I really like how it turned out. There are flaws oh yes there are flaws but I am not going to point them out to you! There was some plan changes along the way which included wasting a piece of Tim Holtz Tissue Wrap but we won't go there. She is cute in the end and isn't that all that matters? I purchased a package of 5 of these 8x8 canvases at Michael's so hopefully I will do more. I may stick with the song theme as that helps me come up with my own idea....and with that I just thought of another! See!!! As promised I made a video showing you how I created my version of a Project Life digital template. I use these We R Memory Keeper page protectors which have 9 pockets that hold a 2.625 x 3.5 cards. Most of the digital templates I found had smaller size blocks so I had to create my own. If you have any questions let me know...I would love to help. 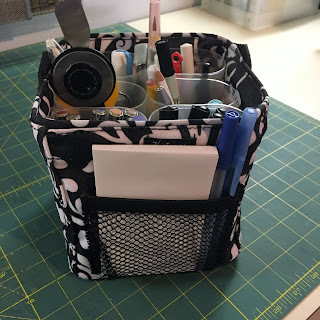 I jumped on the Project Life bandwagon last year. I did not do a weekly spread but a monthly spread. I have a husband and a cat and a pretty boring life...how could I fill up 52 weeks worth of interesting? I liked the 8 1/2 x 11 approach and I used the We R Memory Keeper 9 pocket page protecters. The cards/pictures I created using my Silhouette. I made a rounded rectangle at 2.625 x 3.5 and made a bunch of copies. I would then import my pictures, size them to the rectangle, crop and cut a sheet at a time...BUT...my Silhouette is giving me a hard time lately. It keeps jamming up when cutting and the software keeps freezing up especially when doing something with this many pictures and multiples of shapes. I carried on though, cursing every time I made a layout. I finished 2013 and have to say I really loved doing this and decided I was going to take another go at it but something had to change! I am a basic Photoshop user and know how to make a digital template or two so I decided I would make a template in Photoshop instead of Silhouette and cut the cards/pictures by hand. This only meant I could not have rounded rectangles (as I would not be using my Silhouette to cut the shapes). Once I got over the horror of it all I went to work on the template. I could only fit 6 shapes on my 8 1/2 x 11 sheet of paper but again, I will get over it. Now I just open my pictures, size them up a bit then do a clipping mask and WALA! (wala is too a word). Here is an image of the template though so you can see what I shoot for. If anyone by chance would be interested in the template I would be happy to email it to you. 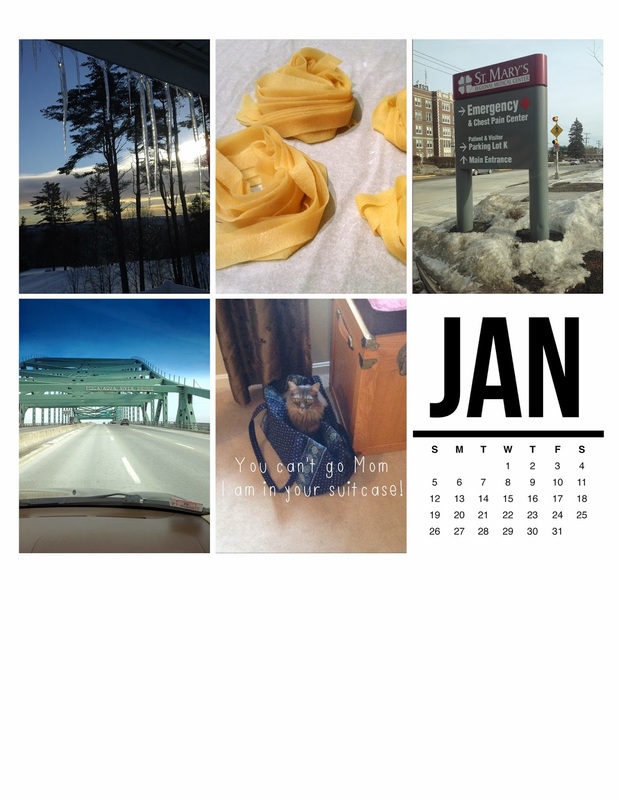 Here is part of my January page in Photoshop before I printed it. See the top middle image? My husband bought me the pasta making attachment for my KitchenAid Mixer! Holy Pasta Making! Back to project life.....so after I have the page printed I can simply cut it on my paper cutter or use a blade as each rectangle lines up perfectly. In the pockets they go...no rounded corners but I am trying to get over that ;) I do the same thing with my journal-ling and other filler cards to fill all the pockets. Sometimes I do a 2 page spread and other times just 1 page it just depends what I have to say that particular month. This morning was a play day. My husband had a meeting so I had the house to myself, except for Handsome the cat. I got up, went into my studio and took out my Gelato's. I haven't had much of a chance to play with these since I bought them this year. I watched a couple of You Tube video's and went to work. I used the swatch kit that came with the Gelato's and chose the embossed card stock. I played around until I got what I liked then kept adding things, like that strip of washy tape that I have yet to use on anything and some Mister Huey's Calico White to splatter some white on the background. Ran around the edges with my Distressed Inks and called that done. I have a hard time stopping when I do these things so I was happy when I knew enough was enough...before I ruined it! I cut out 2 branch images on my Silhouette and glued them together for strength. I colored them with the Gelato's, this time using a bit of the white to create a light tip to the leaves. You can't tell from the picture but it is there. I wanted to include one of my favorite sayings on this piece so I typed it up then printed it out on Claudine Hellmuth adhesive canvas. I then mounted it on a piece of chipboard for stability and used the Distressed Inks around the edges. I adhered the branch with glue dots and put adhesive dimensionals on the back of the saying, added a Ranger paper clip and placed everything down. This was a fun project for me and so out of the norm. I am not usually "artsy". I have been wanted to try my hand at an Art Journal so now this might be the start. As I navigate the job market yet again I have had time to be creative and is that not what this blog is about? I actually finished my Project Life 2013 album. I had a great time making this album and plan on continuing this year. I don't have any new pictures to post but trust me when I say it is great and I am happy...only had to change it up 1 time and for me that is a big deal. I tend to redo and redo then redo again. I am not happy with the color combination. The slip was supposed to be more pink than red. Cute image though and it will make a nice birthday card. I will try and remember what markers I used and will add them to this post. I have been spending quality time with my Silhouette now that I am unemployed. Found this little number from a friends Pinterest post. 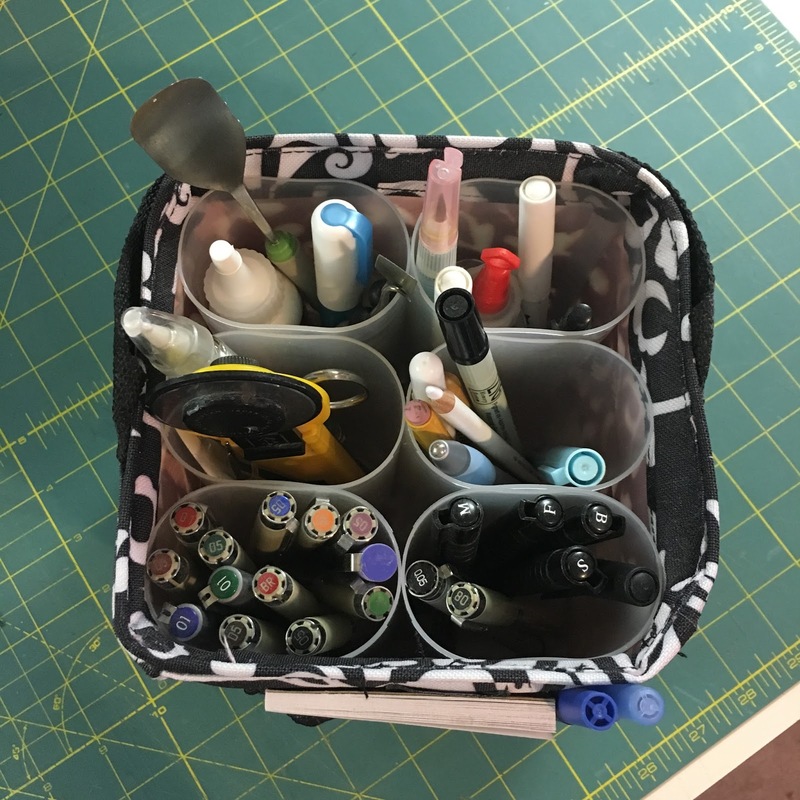 I made one for me and now have a request for 2 more! You can find the file in the Silhouette store. 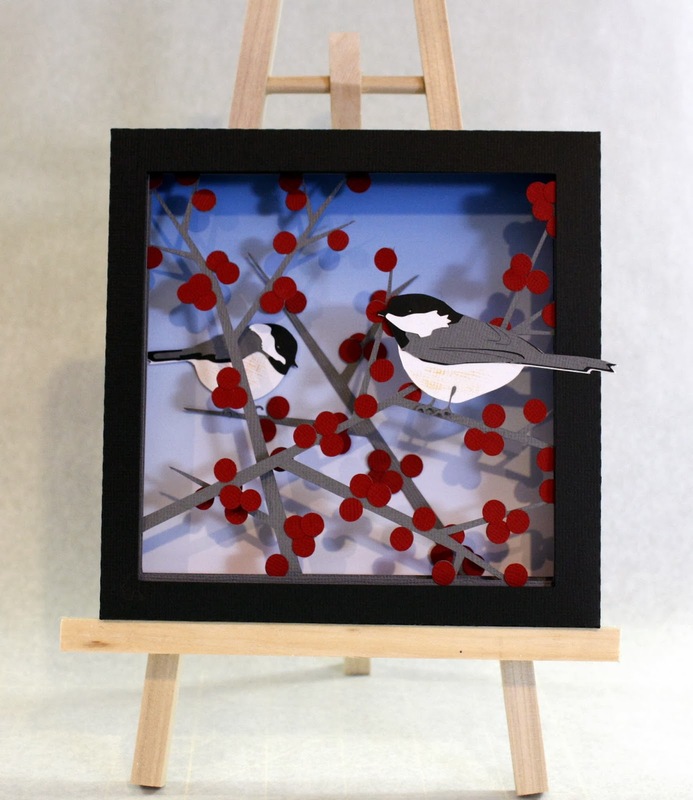 It is called 3d Winterberry Shadow Box w/Birds. I resized the design to fit my 8.5x11 mat...easy enough to do. And yes Sally yours is on the way! There are many more creative things done this past year even though work did not allow much time, but I am grateful for this time to step back and play.